February 27, 2018, 11:26 AM · Let's face it: the violin is one of the most difficult instruments to learn to play, and the same goes for viola, cello and bass. At a certain point, most violin students -- whether they are beginners or advanced students, children or adults -- find they need some dependable guidance. That is why it is so important to find a good teacher, and to choose that teacher thoughtfully. How do you go about finding a good violin teacher, asking that teacher for lessons, and then getting set up? Here are some guidelines to help you through that process; thoughts and ideas that I've gathered from 20 years running Violinist.com and 30 years as a violin teacher. I hope you find them to be helpful! How much should lessons cost? This is a very local question, and it greatly depends on the cost of living in your area as well as the reputation and expertise of the teacher. Remember, the lowest-cost, most accommodating teacher may seem like a "great deal," but may not actually be the wisest use of your time and money. A good teacher is going to cost some money, because that person has invested a great deal of time and money in becoming an expert at both playing and teaching. A good teacher is also going to make some demands on you, such as: you will need to commit to attending regular lessons, you will need to practice daily, you will need to participate in recitals, group classes, etc. So expect that you will have to invest both money and time in order to make this work. A good violin (or viola, cello, bass, piano, etc.) 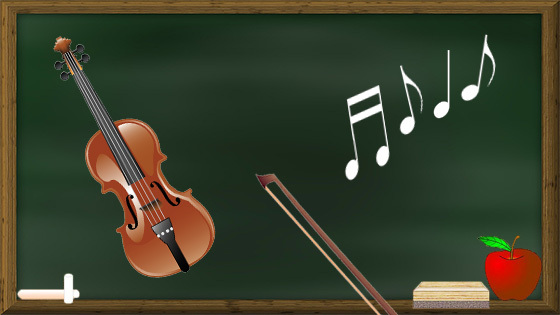 teacher has expertise in playing the instrument, has expertise in teaching the instrument, and has experience teaching. Of course, the degree of each kind of expertise will vary in every potential teacher: a younger teacher may not have as much experience; an elite performer may have an impressive performing resume but little formal education in teaching; a teacher who majored in education may have more pedagogy training than performing credits. These can all be great teachers, but you will have to decide what you value and trust most and go with that. It is very important that you trust in the expertise of your teacher, so you can fully commit to that teacher's plans and ideas for you. Does the teacher have a degree in music? Does the teacher have training in teaching ("pedagogy")? How long has this teacher been teaching? Remember, when you are approaching a teacher, this is not the same thing as buying a consumer product such as a good tennis racket. Certainly, you need to balance quality with cost, and you need to see if a teacher's style and personality will work with you or with your child. But a good teacher will also be making a judgment about you - are you committed to learning and to practice? Will you work in good faith with a teacher? Are you respectful? The teacher-student relationship can often last for many, many years. Ponder this question, which goes both ways: "What are you doing every Wednesday at 4 p.m. for the next five years? Would you spend 30-60 minutes with me?" Identify yourself fully, with your first and last name. Tell the teacher why you or your child wants lessons. If this is for your child, mention your child's name and age. Let the teacher know how you were referred to him or her. Ask if you can audition for the teacher (if you already play) or talk further (if you are a beginner). Provide your contact information, such as a phone number or e-mail address. For a beginner: Have a conversation with the teacher about his or her teaching philosophy and style, expectations, scheduling, etc. Also share anything you wish to about your (or your child's) goals, learning style and/or special concerns. For someone who already plays: audition or play for the teacher and see what course of action the teacher feels is best. When it comes to children, you may or may not wish to have the child present for this meeting. In general, if you need to talk about behavioral issues, learning disabilities or special needs, it is best to have this conversation without the child present. Do you have confidence this teacher's expertise? Does the teacher seem interested in you and your progress and goals? Do you have any feedback from current or former students, and is it positive? Are you inspired by this teacher? Are you able to work out any scheduling issues? And in the end: your gut reaction is a pretty good guide! Ultimately this is a teacher for you or your child, not for anyone else, so go with your own instincts. If you are considering lessons for a very young child, it is important to understand that this is a big commitment for a parent. Simply put, it's not easy. A child under the age of eight will need daily practice supervision, private lessons and group lessons. It is the parent(s) who will be making that commitment and supervising the fulfillment of that commitment. The most common method for starting very young students is The Suzuki Method; if you wish to read further about this, here is an article that explains the Suzuki Method in detail. I hope this helps you in your search for the best possible teacher for you or your child! Please feel free to share any further suggestions and ideas below. February 27, 2018 at 07:55 PM · I think it was Jessy Ringquist who wrote on the forum some time ago that the most important thing for a teacher is that he/she teaches you how to practice! February 27, 2018 at 08:03 PM · Very true! February 27, 2018 at 09:12 PM · Overall quite good. One might also want to ask about teaching space, whether the teacher is willing to travel, as well as sliding scale fees, since some are willing to accommodate different financial situations. It's also helpful to know whether they teach through an organization, and how much control said organization has over that teacher's decisions in the studio. One thing that bothered me is that the author suggests that children not always be present at the initial meeting, and specifically that the child not be present when their special needs are being discussed. I would say that in pretty much every case, the child should have the opportunity to meet the teacher to see whether the interpersonal chemistry will be right, and allow the child to ask any questions they may have. And in the case of disabilities, I feel like, as someone who had to deal frequently with parents disclosing a diagnosis I felt embarrassed about to my teachers without me wishing them to do so, that the decision to disclose and discuss should become the child's call as soon as possible in order to respect their privacy, and give them the opportunity to practice self-advocacy skills. February 27, 2018 at 09:30 PM · Very thorough and insightful, Laurie. I agree with all points. I would only add that a forward-thinking teacher might want to get out in front of all of those questions by posting that information on his or her web site. February 27, 2018 at 10:13 PM · A good suggestion, Paul! February 27, 2018 at 10:20 PM · I would say there is a difference between talking with a child about his or her challenges and talking about a child. Talking about a child, as if the child is not in the room, is always problematic, and this is the situation that parents and teachers should avoid. Also, a child who is a four-year-old beginner will likely have somewhat less say in the decision than a child who is 12 years old and has been playing for five years. February 28, 2018 at 02:24 AM · Very well written and informative. I do want to add, though, that becoming a good teacher requires practice and training (if you can get it). Finding a good teacher is not an easy task. Not all teachers have university degrees; some only have alternate qualifications such as conservatory diplomas (e.g ARCT from the RCM). February 28, 2018 at 03:35 AM · This article can be useful. Another suggestion is that students/families request if they can have a couple of trial lessons, if they are in the process of trying out more than one. I have been teaching since ~1993, and though talent, technique, and methods of teaching are so important, the personality (which you did note) is so important. It reminds me of my younger days when I was looking for an advance level teacher. One of them I took a semester from was a superior and well praised solo performer. But I found out that their teaching way and methods were not helpful at all. But we did keep on several lessons to get some tips which also gave a different look and interpretations of my playing. I also recall that when I asked how to do some specific techniques in a concerto, they just said that they just always had good luck! ;) Did not know how to do it or what could work for me. Anyway, I did have some of the most amazing teachers, especially my young adult years. Mr. Roman Totenberg was a superior, high level, but most warm hearted teacher and became dear friend of mine. February 28, 2018 at 01:39 PM · Good morning! That was a very good article. As a professional musician as well as a teacher, I agree with all the information within the article. A private teacher is very much like a personal trainer. You both have to be in tune with each other, no pun intended. It may take several tries to find the best teacher but it is worth the effort. I would like to add that most good teachers will offer a first lesson free of charge so one can see how or if it will work. I have done this. Also, a good teacher will have contact information to help a student find an orchestra to play in or contractors who will give them a chance to join the gigging work if they wish. Thank you for your article. February 28, 2018 at 02:31 PM · Very well thought out article Laurie and very informative. I am guessing the majority of those taking lessons are children. That being the case, the parents have a lot of input into the direction this takes and understandably so. Different particulars are considered. If preparing the child for the pro circuit or a career in music performance I would think the ramifications of some decisions would be much different than for an adult student. Maybe if the directive is simply to use music as a way to be more well rounded scholastically or personally then some particulars are less important. I guess you could say the stars lined up for me when I found a teacher. As it turned out I was learning Irish/Scottish music and my teacher had parents involved in the Irish music scene directly as performers who started her out a 4 years old on violin.She is now in her 20's and studying dual majors at university.One of those is performance.I couldn't have asked for a better teacher for my purposes.In addition she is also a nice person with a gifted teaching style that I acclimated to very well. This teacher customizes my teaching to my goals and makes learning interesting. We both know I won't be in the pros. This doesn't mean standards are not set high. It simply means that standards are different. I will be sorry if she ever leaves the area.The closest replacement is 40 miles away. I feel very blessed to have found her. February 28, 2018 at 02:55 PM · It is possible and desirable that as one learns and grows as a student one can acclimate to a wider variety of teachers, including teachers who may have significant idiosyncrasies or even negative traits* rather than always needing to find that perfect fit. I think the sooner one can get to that point the better off one will be. *I'm not talking about unethical or criminal stuff here. March 1, 2018 at 03:38 AM · One thing has been difficult for many students is about departure from a long term teacher-student relationship. Personally, I want to stay with my current teacher for as long as I can, but this is not the case with many others, especially young students who might need to move from teacher to teacher over stages of their development, or when new and a desirable teacher shows up. Some teachers can get very upset if a favoured student leaves. What is the best way to prepare for such departure should it happen? March 1, 2018 at 03:50 AM · That is a really good question -- and I will write another blog about it! In short, though, try as best as you can to leave with an "attitude of gratitude," to be as up-front about it as possible, but also to be honest about your needs. Sometimes, if done in the right spirit, the "old" teacher can even help a student find a "new" one. March 1, 2018 at 03:51 AM · I agree that trial lessons can be good for both parties. I don't charge for that. ... my darling is a private violin/viola teacher for 30+ years in West LA. We went through this subject many times. Finally, we came to this: when a teacher has time on her schedule, she may afford to provide trial lesson free of charge (after extensive discussion about goals, needs etc). Otherwise, it does not mean the teacher is good or bad just on this point, so I'd not be quick to put labels and tell that the good teacher should provide 'free' lesson. It always depends on the context (many issues involved). We all live our lives and make decisions to the best of our abilities. Some students respond to our dedication, teachings, others not and thus teachers have also to protect themselves. It's easier said than done. March 1, 2018 at 03:33 PM · Artu - agreed. I prefer to call it an "audition" than a "trial lesson," and if it's a beginner, it's more of a consultation. It's as much for the teacher as for the student; this is a potentially long-term commitment for both parties. And the other thing that an interested student can do is observe other lessons. March 1, 2018 at 07:06 PM · for small children, one "audition" may not be enough to make child comfortable with a new person and environment. Does not matter how good is the teacher, and how the child is motivated. And I never meet a trial private lesson for free in my life. Why should it be for free? March 1, 2018 at 08:29 PM · Put it this way: One option is that you can meet each other once for free, then you make a decision. Or, a teacher can charge for the meeting. It’s really up to the teacher. No, I’m not saying that teachers are in any way obliged to give free lessons. At some point, it is a leap of faith. March 2, 2018 at 01:58 AM · I’m an adult beginner and I’ve been taking lessons from a teacher using the Doflein method for about 6 months. I didn’t read any music when I started, so it was a tough road. Even so, I feel like we spend the 30 minutes playing through the songs but not learning form or how to practice. I find myself searching YouTube for tips. Also, my teacher can get quite frustrated with me as I struggle with coordination. How should I approach considering whether to change teachers at the point? Does this seem pretty typical because I am an older learner and things are just harder to learn as an adult? March 2, 2018 at 06:25 AM · > for small children, one "audition" may not be enough to make child comfortable with a new person and environment... Why should it be for free? agree but the emphasis goes on value: we noticed that people value the service more if they pay for it, at least symbolically. This is important because decision on student's part is done by the parent and we plant the 'seed' of our possible journey/partnership not only by teaching but also by communicating our confidence. Regarding the discussion of trial lessons, my personal take is that if we always wait until the child is "comfortable" we can be waiting an awfully long time. I believe an appropriate level of challenge will always border on discomfort. It's healthy for children to learn how to acclimate to different authority figures with a range of personalities and backgrounds because that will make it easier in the long run to accept the counsel of doctors, coaches, teachers, and so on.